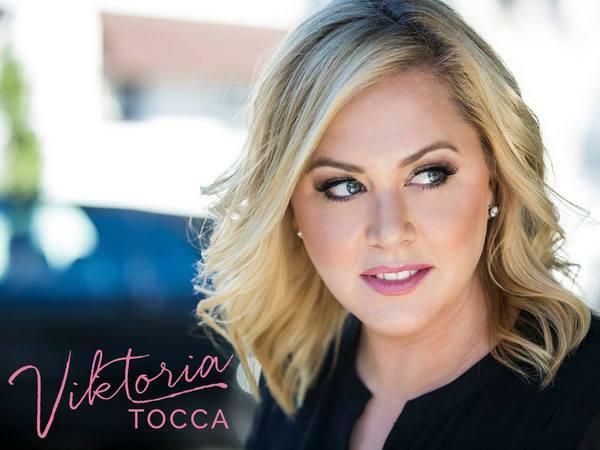 Join us this week as we welcome pop music recording artist, Viktoria Tocca. Viktoria is a world renowned singer/songwriter. Her first single released in the States, “We’re Still Young”, debuted at #10 on Billboard’s ‘Hot Singles Sales’ chart, climbed quickly to #3 and remained on the chart for over two months. Viktoria’s new single “Ready to Run” is already working it’s way up the charts. After winning the Hollywood Music in Media Awards in 2011 for the song “Dark Waltz,” she followed up with 14 Indie Music Channel Awards (IMCA) in 2012 and 2013, including “Artist of the Year,” propelling her career in the US. 2014 she won the Hollywood Music in Media Awards again, this time for her hit song “We’re Still Young”. She also performed in major roles in some of the biggest musicals in the world, including Christine in Andrew Lloyd Webber’s master piece “The Phantom of the Opera” for two years, Sissi in the world premiere of the German musical “Ludwig II” and Evita. We will talk to Viktoria about her upcoming schedule, get a behind the scenes look at her music, feature her latest songs, and ask her to share her message for the troops. Please be sure to visit Viktoria Tocca at http://viktoriatocca.com/ and spread the word. Fans are welcome to call in and speak live with Viktoria during the show (718) 766-4193. If you would like to participate in the live chat during the show, you must sign up on the show site first and then log in during the show. And as always we will give shout outs to our deployed military listeners. Be sure to join us, Sunday 3/8/2015 at 4 PM EDT! Our message to the troops....WE do what we do, because YOU do what you do.